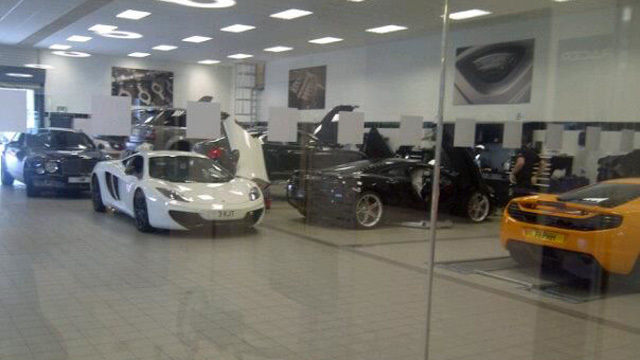 According to Jalopnik, the waiting list on delivering McLaren MP4-12C might be caused by minor trouble. 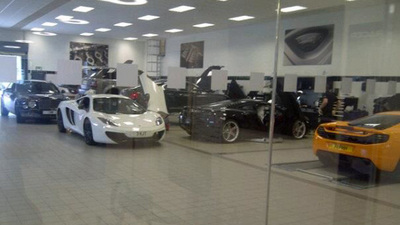 The photo above shows a McLaren service center in England last week with at least three MP4-12Cs for a repair to their door-opening mechanisms. There are several reports of the scissor doors failing in wet conditions and problems with the touch-sensor opening. If that was the only issue, there wouldn’t be much hubbub. But its not. Head over to Jalopnik for more detail. McLaren will offer upset owners and those still waiting for their keys a special consolation package, including a free 32Gb McLaren iPod Touch, a $7,800 rebate, a free installation of the IRIS voice-controlled navigation system when it’s finally ready — and, most importantly, a photograph of their car or similar signed by both Lewis Hamilton and Jenson Button.